Whether you're a fashion or beauty brand or blogger, compelling content is critical. Content marketing is a crucial aspect of your digital strategy that you can't neglect. Having a blog with new top quality content every day, week, or even month can pay big dividends. But it can be very time-consuming for beauty businesses and not all fashion companies have experienced writers on staff that are also skilled in search engine optimization (SEO). That's where helpful blogger outreach services come into play. You can work with an agency like Get Blogged that has access to hundreds of the best bloggers in all niches to write high-quality unique content for your company. This saves you significant time and money so you can put your resources into focusing on your company's core competencies. On the flip side, if you are a talented and experienced blogger, there are multiple opportunities for paid blogging work out there. You want to show off your writing skills while helping businesses to grow and succeed. As someone who has successfully worked on both sides of the fence as a blog outreach provider and paid blogger for a decade across several industries, I have some expertise on these subjects that I'd like to share with you. As I mentioned briefly earlier, business blogging is critical to your company's success. First of all, having a comprehensive and updated business blog reflects very positively on your company. It shows that you are passionate about your industry and want to help your website visitors. Secondly, your insightful blog posts help to convert website visitors into qualified leads or paying customers. Third, blog posts provide excellent content to share and discuss on your company social media pages. And finally, the more business blogging you do means improved SEO which will drive increased organic Google traffic to your entire website for years to come. It's the gift that keeps on giving. Why Utilize Blogger Outreach For Fashion Or Beauty Brands? Business blogging is an excellent strategy, but it can take up an incredible amount of time and resources. 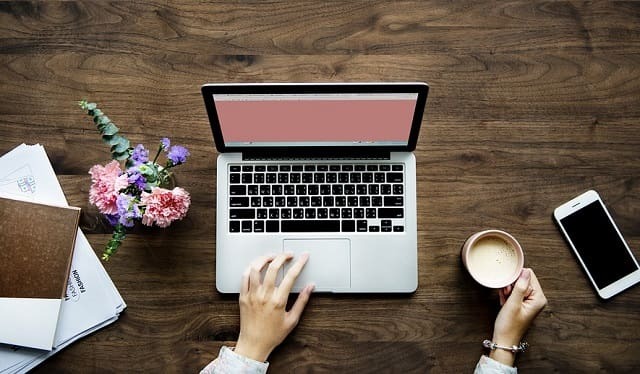 A single well-researched, written, edited, and optimized blog post can take several hours (or even days) for a skilled writer that is knowledgeable about the beauty and fashion industry. That means you are either making a full-time employee dedicate half of their workload to your business blog (taking away the time and energy needed for other pressing aspects of your business) or you're keeping a full-time content producer on the payroll for $50,000 in annual salary. These are incredibly high prices to pay for content when you can outsource to expert bloggers used to writing for website visitor conversions and Google search results. While companies are looking for consistent and creative content that converts, there are plenty of talented and experienced bloggers out there in every niche looking for additional work. It can be challenging to find consistent work as a beauty or fashion blogger. Steady sources of income can be difficult for even skilled writers, especially in the beginning. Paid blogging opportunities through blogger outreach agencies like Get Blogged can help to give you the stable income you need while you build your business, portfolio, and expertise. It's a great supplement to your existing blogging business and a valuable work experience possibility that you should take advantage of. If you have a strong social media presence you can increase your earning potential even more. If you have the most Twitter followers or Instagram fans in your niche then you can monetize them by promoting brands. Another great way of expanding your fashion and beauty brand includes social media marketing. It helps to send crawlers to your web pages, drive traffic, increase brand awareness, and further boost Google ranking. By hiring an experienced social media marketing company or LinkedIn lead generation service, your overall digital marketing strategy will be improved exponentially. Content is still king and it needs to be produced consistently and effectively by industry professionals. Whether you are a beauty brand in need of blogger outreach services, or an experienced fashion blogger looking to earn some extra money, Get Blogged is an excellent company to work with. Now it's time for you to get blogging and make some beautiful bucks! I hope you enjoyed this article about business opportunities with blogger outreach services for beauty and fashion blogs and brands. Interested in reading more articles from Divine Designs?